Stunning Center Hill Lake view and rare walk-to-the-water access are yours from this highly sought after location. 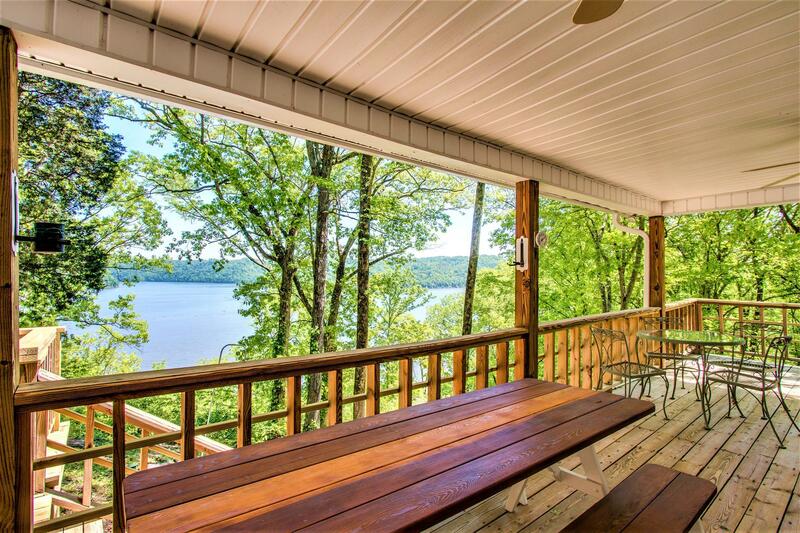 Covered, spacious deck with lake view hot tub, beautiful/mature trees and boat house. Pucketts Point neighborhood has excellent proximity to Hurricane Marina/Floating Mill Recreation Area, Blue Water Grille, and the Appalachian Center for Crafts. Close to neighborhood boat ramp. Quick access from I-40 or Hwy 70. Offered fully furnished.